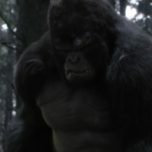 The Flash kicked off the 2-part Gorilla Grodd storyline this week with “Attack On Gorilla City” as we saw the first hour. 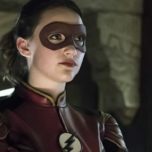 The CW released promo photos today for 3.14 titled “Attack on Central City” as the two-parter Gorilla Grodd storyline will come to an end in this episode. Not only are we seeing the return of both Grodd and Jesse Quick, but also the return of Gypsy! In addition, Jesse makes a huge decision about her future!